Are you slowly becoming fed up with your Shopify dropshipping store fees? Fees can add up quickly and when you are just starting out with your store, it can be a struggle to pay those monthly fees when your store isn’t earning much. In most cases, you are paying for the basic Shopify plan which is $29 per month. You are likely also paying for a Shopify dropshipping app such as Oberlo (most popular) which has a basic plan fee of $29. This isn’t to mention other fee-based Shopify apps you may want or need to install to help manage your store. If that is the situation that you’re finding yourself in, you’ll be glad to know that there is another way. I’ll begin with a low-cost alternative and then explain a free option as well. The alternative I’m referring to is dropshipping with WordPress. You can save at least $720 per year by using WordPress for your business. The WooCommerce plugin turns your WordPress website into an eCommerce store. However, it doesn’t enable you to dropship from AliExpress by using it alone. This is where the AliDropship Woo plugin comes in handy. When you install this plugin, you get a full-featured dropshipping store with tons of automated features. You can import an unlimited number of products and it will automate an unlimited number of orders. How Much Does it Cost to Use WooCommerce and AliDropship? It doesn’t cost much at all to use these two plugins. Like WordPress, the WooCommerce plugin is free. The AliDropship Woo plugin is a one-time fee of $89. Therefore, you do not incur any monthly software fees to run your store. The minimum $720 per year that you’ll save can be put towards your marketing budget. Regardless of which eCommerce platform that you choose, you have the option of building your store yourself or outsourcing the work to someone else. When doing it yourself, it is up to you to do the niche market research, choose your dropshipping suppliers, and import the products to your store. This involves editing product titles, descriptions, and images. It is a time-consuming process but it can save you money. However, you can save both time and money if you have your store built and customized for you. 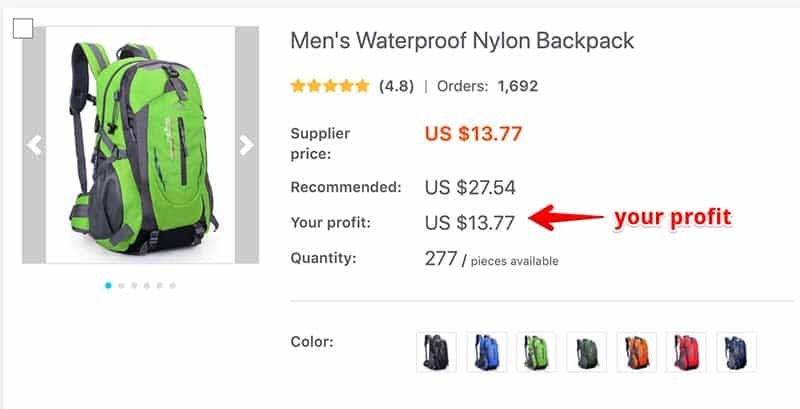 This is especially true with AliDropship as their custom dropshipping store service is still a one-time fee with no recurring monthly software fees. If you choose this option, you can invest $299 (basic plan) and have your store custom made. Some of the services include niche selection, domain registration, importing of the best-selling products, and more. Not to mention a personal manager that is assigned to you and handles all of the details. It really is a hands-off solution which can get you started off on the right foot. Now, before I explain how to build your free dropshipping store, keep in mind that it will not be automated. Meaning, when orders come in, you will have to manually order them from AliExpress and input your customer’s shipping details. You will also have to send each customer their tracking information. However, you will still get some cool features such as the best selling products for import, customer review importing, and recommended pricing importing. I will briefly go over what you need below but if you want a step-by-step tutorial, you can click here. Just like our low-cost Shopify alternative at the beginning of this post, you will need a clean installation of WordPress. If you already have web hosting with unlimited hosting accounts, then all you need is a domain name. If you need both a domain name and hosting, I recommend HostPapa as they give new customers a free domain name and they will auto-install WordPress when you choose any optimized WordPress plan. Similar to the above, you will need the free WooCommerce plugin. This will transform your WordPress installation into an eCommerce store. You will also need a WooCommerce store theme and you can use any one that you want. However, I like and recommend the Da Vinci 2.0 theme which is free to download. It’s a beautiful theme created by the team over at AliDropship so it will include free updates as they provide them. DropshipMe is also a free plugin and it is the software that lets you import 50,000+ of the best selling products from AliExpress. It includes user review importing as well as recommended pricing imports. Another huge plus about DropshipMe is that all of the product images, titles, and descriptions are edited for you. The only thing you have to do is click import. What is great about this free store is that when you are ready to upgrade your store, you can do so easily with the AliDropship Woo plugin. Regardless of which option that you choose, you will get free lifelong software updates and customer support from both DropshipMe and AliDropship. WordPress and WooCommerce also provide free software updates so you are covered there as well. As far as learning more about dropshipping and store promotion, I highly recommend subscribing to and reading the AliDropship blog. They update their blog on a regular basis and they share a great amount of marketing information. 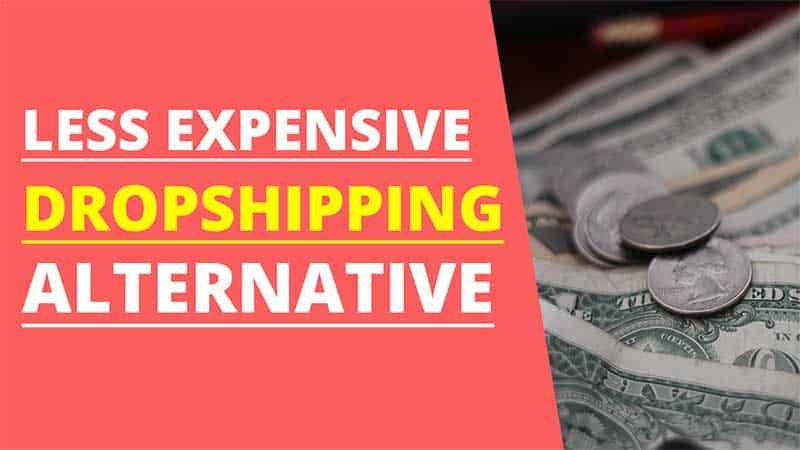 Whether you are just starting out as a dropshipper or want to open a second store without spending more on monthly software fees, the above alternatives are great options. No matter what platform that you use for your dropshipping business, it is all about effective marketing, offering quality products, and providing outstanding customer support.